This girl is a serious ball of energy. Whether she's running another marathon, rock climbing in the woods somewhere, or planning a mammoth event at her job, Jessie has the kind of personality that just makes you want to get out there and do whatever it is you're going to do. And ask her to come with you at the same time. 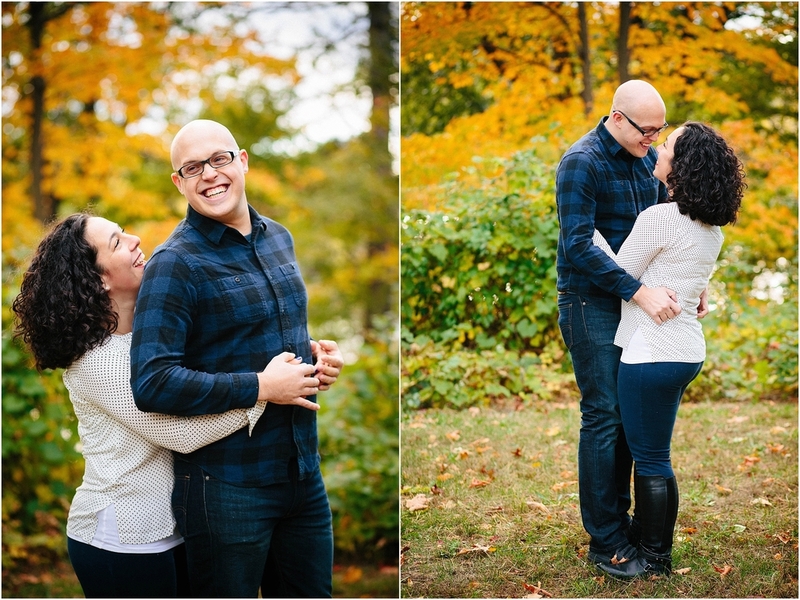 So it makes perfect sense that her groom-to-be is the kind of guy who keeps her grounded but is willing to jump in for the ride - where it works :). Jessie and I have been friends for a couple of years now (we're ladies who run and met at a local running group). 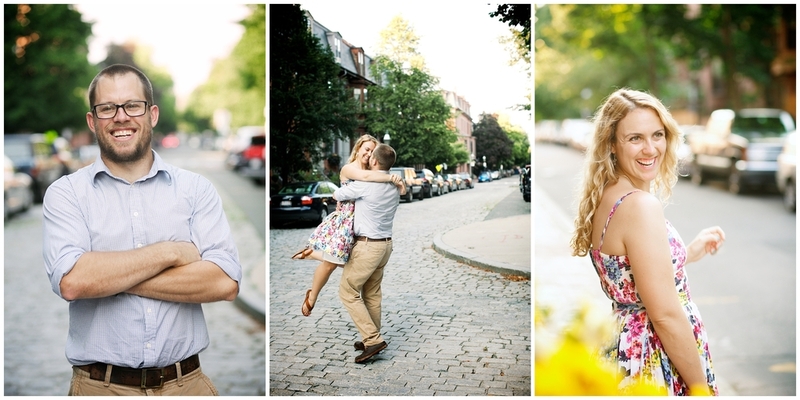 So, when she and Jeremy got engaged, I had to borrow some of her exuberance and pitch an engagement session to them. 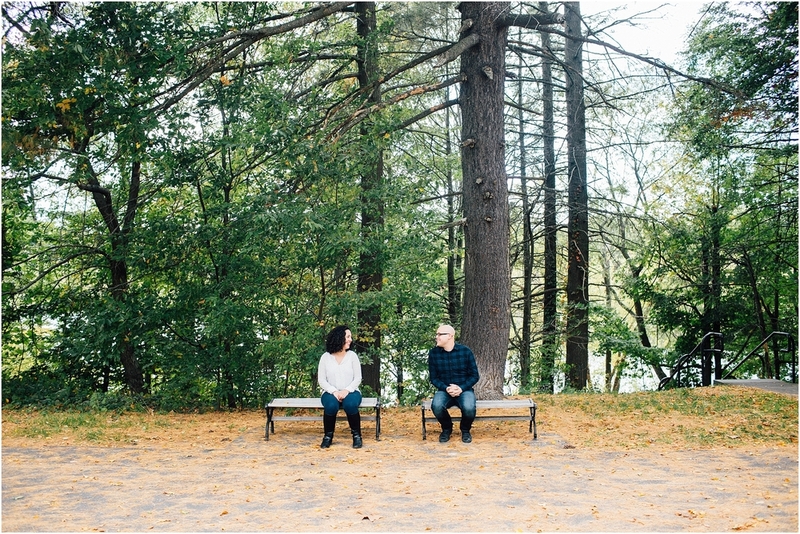 We ended up on a crazy warm autumn day with perfect weather for this perfectly matched couple at Jamaica Pond, their local park. 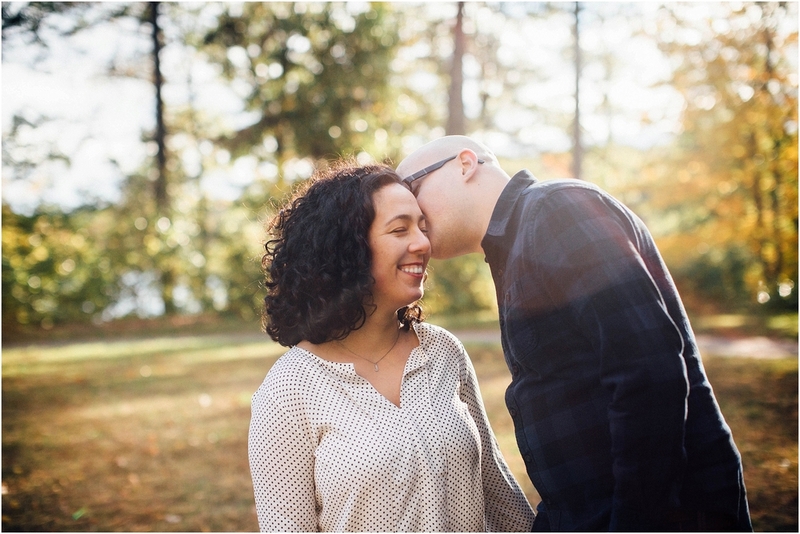 J + J will join forces at what will (without a doubt) be an awesome Upstate New York wedding this summer. Congratulations! !